The M. A. SILVA Advantage: Reliable. Perfect. Proven. We are the leading and award-winning manufacturer of finest premium corks, glass and packaging for North American markets. We demonstrate impeccable integrity, consistent customer service and are committed to sustainability and eco-friendly operations. Our company was established in 2000 by cork industry icon Neil Foster and Manuel Alves Silva Sr. of M.A. Silva Portugal, a family-owned and operated company with a 42-year history of cork production and known as an innovator in cork processing and technology. We import high quality natural cork stoppers from the southern region of Portugal and process them domestically for distribution. Through long-term collaboration with growers, our operations are 100% vertically integrated ensuring complete process control. Our certified quality assurance program ensures that our products provide unmatched visual, mechanical and sensory characteristics. Always. Our glass is sourced from high quality manufacturers controlled 24/7 by M.A. Silva’s on-site quality specialists. Proprietary molds guarantee consistent quality. We develop custom bottle molds and offer a wide range of packaging solutions. M. A. Silva offers a variety of cork stoppers ranging from near visually perfect natural corks for ultra-premium wines through value priced corks intended for high-volume labels. All of our cork is sourced from trees under exclusive contract to M.A. Silva. In conjunction with the owners of our contracted forests we monitor the health and quality of the trees, testing samples even before the bark is harvested. Our proprietary cleaning processes (Dynavox®, Mazone® and Sara®) have reduced average TCA levels to below the threshold of human sensory capabilities. We perform rigorous sensory and Solid Phase Micro Extraction – Gas Chromatography/Mass Spectrometry (SPME-GC/MS) testing of all corkwood and finished cork lots. Our quality control team alone determines which corks make it into our inventory and which are rejected. Their efforts are supported by exacting protocols and state-of-the-art technology. Our full-service cork, glass & packaging solutions can save you time, money and ensure smooth bottling runs. On-site M.A. Silva quality specialists - our glass manufacturing process is controlled 24/7 to guarantee consistent quality. Proprietary molds - meet or exceed industry standards for quality and tolerances. Perfect fit- our bottles and corks are engineered for an ideal seal for both cork and screw cap bottles. Custom molds/cartons - extend your marketing message through branded cartons and achieve the perfect balance of shape, capacity, color and glass weight for your unique brand positioning. Coordinate cork and glass deliveries to keep your production on schedule and on time. How to make great wine with M. A. Silva. M. A. Silva is the winemakers' #1 choice. Find out what winemakers have to say about M. A. Silva. For this particular exercise, Schmitt’s focus was entitled, “Freshness in Wines, Distinction between Rising Freshness, Minty Notes, Aniseed Notes, the Concept of Licorice.” He began by leading the audience through a tutorial on how we categorize and recall scents; noting that our evolutionary development went from a basis in olfactory recognition to visual recognition. When man stood up sight became the best sense and protect modern hominids. Thus, our descriptors for olfactory input are limited, whereas we use, he said, one-third of our vocabulary to describe visual things. In an interesting and related example, Schmitt said, “We only have about a dozen words to describe taste. We use other senses’ analogies to describe wine, like the word silky,” which is a word drawn from our tactile sense. In another example, the difference between pear and apple is often misused, as what we are really referring to is the texture; pear being grainier. Quoting French philosopher of the 20th century, Jean-Paul Sartre, “To perceive is to judge,” Schmitt noted that all aspects of wine drinking affects our perception; the weight of the bottle, the label, the smells and quality of the cork—all these external cues create a preconceived notion of what we are about to taste. And sometimes our taste only corroborates this perception. Schmitt lead the participants through a series of ten scents. “It’s always difficult to determine freshness in wine,” acknowledged Schmitt. “Flavors are related to our subjective perception.” We identify flavors based on our stored memories of having encountered them before. When we have not previously been exposed to a flavor or scent before, our brain searches for the nearest thing that we know. Aroma sticks were handed out to each seminar participant, and Schmitt treated each of the ten as a mini-lesson in olfactory identification, asking for the audience’s perceptions at the start of each of the ten scent mini-lessons. His dry sense of humor gently mocked or praised the audience’s answers, keeping the feel lively without being too biting. “Your education is visual. You never received any olfactory education,” he excused them. Describing them in detail once the audience’s guesses were all in, the scents he taught the crowd to distinguish included pine resin, camphor, menthol, eucalyptus, minty (spearmint), minty +menthol light (peppermint), laveo carron (a minty compound found in Cabernet Sauvignon), Fennel (Anise-like), anise +mint (caraway), and black licorice. A delightful foray into the world of highly nuanced elemental smelling, Schmitt took the audience through the fine detail of this corner of freshness in wines. Schmitt, is based in Bordeaux, France, where he conducts seminars through his company, Wine & Flavors, which is dedicated to olfactory education. State-of-the-art technology has been developed by MA Silva to sterilize and improve the quality of natural cork stoppers. The new SARA ADVANCED® is a preventive and curative method to control TCA and other phenols of natural cork stoppers and improve quality results in the post-punching process. "It is our passion to drive your business toward success by providing cost-efficient products of the highest quality, which contribute to the profitability and sustainability of your business," says Neil A. Foster Co-Founder & President MA Silva USA. TCA is dramatically reduced when corks are treated with pressurized steam to volatilize TCA and other phenols. Pores dilate during the process, the elastic memory of the cork is used, as it expands, the steam reaches deeper into the pores of each cork to facilitate the volatilization and extraction of all undesirable compounds. The system ensures a continuous and automatic process where corks are led directly from the steam area into the drying zone, eliminating any risk of cross-contamination by micro-organisms. Based in Sonoma County, California, M. A. Silva USA is a leading manufacturer of premium natural corks, glass and packaging for North American markets. Its quality-assurance program ensures unmatched visual, mechanical and sensory characteristics of its products. The company operates on solar power and is committed to sustainability and eco-friendly operations. M. A. Silva earned both Sonoma Green Business Program and ClimateSmart™ certifications and received the Excellence Award for Sustainable Manufacturing by Trade Monthly Magazine. The company has been named Best Cork Supplier 2013, 2015 & 2016, Best Glass Supplier 2016 and 2016 North Bay Maker by the North Bay Business Journal, Best Cork Supplier 2013, 2015, 2016 & 2017 and Best Bottle Supplier 2013 & 2015 by Vineyard & Winery Management magazine and 2017 Best Cork & Bottle Supplier by Trade Monthly Magazine. It is part of the 2017 Inc. 5000 List of the fastestgrowing, privately held companies in the United States and a seven-time winner of the North Bay Business Journal’s Best Places to Work. For more information, visit www.masilva.com or call 707.636.2530. Santa Rosa, CA, August 31, 2017 – M. A. Silva USA, the fastest growing manufacturer of premium corks, glass and packaging in Sonoma County, is pleased to announce the hiring of Ted DeHaan as General Manager. Ted graduated from The Ohio State University with a degree in Industrial and Systems Engineering. He lives with his wife Vanessa and 8-month-old daughter Sofie in Napa. Ted can be contacted via e-mail at tdehaan@masilva.com or phone at 707.236.1182. Based in Sonoma County, California, M. A. Silva USA is a leading manufacturer of premium natural corks, glass and packaging for North American markets. Its quality-assurance program ensures unmatched visual, mechanical and sensory characteristics of its products. The company operates on solar power and is committed to sustainability and eco-friendly operations. M. A. Silva earned both Sonoma Green Business Program and ClimateSmart™ certifications and received the Excellence Award for Sustainable Manufacturing by Trade Monthly Magazine. The company has been named Best Cork Supplier 2013, 2015 & 2016, Best Glass Supplier 2016 and 2016 North Bay Maker by the North Bay Business Journal, Best Cork Supplier 2013, 2015, 2016 & 2017 and Best Bottle Supplier 2013 & 2015 by Vineyard & Winery Management magazine and 2017 Best Cork & Bottle Supplier by Trade Monthly Magazine. It is a seven-time winner of the North Bay Business Journal’s Best Places to Work. For more information, visit www.masilva.com or call 707.636.2530. Santa Rosa, CA, August 16, 2017 – M. A. Silva USA, the leading manufacturer of premium corks, glass and packaging, announced today that it has been named to the Inc. 5000 list of the fastest-growing, privately held companies in the United States. About M. A. Silva USA: Based in Sonoma County, California, M. A. Silva USA is a leading manufacturer of premium natural corks, glass and packaging for North American markets. Its quality-assurance program ensures unmatched visual, mechanical and sensory characteristics of its products. The company operates on solar power and is committed to sustainability and eco-friendly operations. M. A. Silva earned both Sonoma Green Business Program and ClimateSmart™ certifications and received theExcellence Award for Sustainable Manufacturing by Trade Monthly Magazine. The company has been named Best Cork Supplier 2013, 2015 & 2016, Best Glass Supplier 2016 and 2016 North Bay Maker by the North Bay Business Journal, Best Cork Supplier 2013, 2015, 2016 & 2017 and Best Bottle Supplier 2013 & 2015 by Vineyard & Winery Management magazine and 2017 Best Cork & Bottle Supplier by Trade Monthly Magazine. It is a seven-time winner of the North Bay Business Journal’s Best Places to Work. For more information, visit www.masilva.com or call 707.636.2530. Santa Rosa, CA, August 14, 2017 – Sonoma County based M. A. Silva USA announced a new manufacturing facility located in Santa Maria de Feira, Portugal. The 64,500-square-foot building is dedicated to the production of sparkling and technical cork closures. The $4.1M investment includes state-of-the-art technology and created 35 jobs. About M. A. Silva USA: Based in Sonoma County, California, M. A. Silva USA is a leading manufacturer of premium natural corks, glass and packaging for North American markets. Its quality-assurance program ensures unmatched visual, mechanical and sensory characteristics of its products. The company operates on solar power and is committed to sustainability and eco-friendly operations. M. A. Silva earned both Sonoma Green Business Program and ClimateSmart™ certifications and received the Excellence Award for Sustainable Manufacturing by Trade Monthly Magazine. The company has been named Best Cork Supplier 2013, 2015 & 2016, Best Glass Supplier 2016 and 2016 North Bay Maker by the North Bay Business Journal, Best Cork Supplier 2013, 2015, 2016 & 2017 and Best Bottle Supplier 2013 & 2015 by Vineyard & Winery Management magazine and 2017 Best Cork & Bottle Supplier by Trade Monthly Magazine. It is a six-time winner of the North Bay Business Journal’s Best Places to Work. For more information, visit www.masilva.com or call 707.636.2530. Santa Rosa, CA, April 18, 2017 – Sonoma County based M. A. Silva USA has received the 2017 Best Cork Supplier award by Vineyard & Winery Management Magazine, 2017 Best Cork & Bottle Supplier award and 2017 Excellence Award for Sustainable Manufacturing by Trade Monthly Magazine. More than 700 wine industry professionals from across the nation participated in Vineyard & Winery Management Magazine’s survey this year. Voters like that it’s a “green company” with “consistent, great-quality corks,” “quick turnaround” and “excellent customer service.” Trade Monthly Magazine recognizes companies in the food and drink industry whose devotion, innovative thinking and tireless efforts have led to outstanding results. M.A. 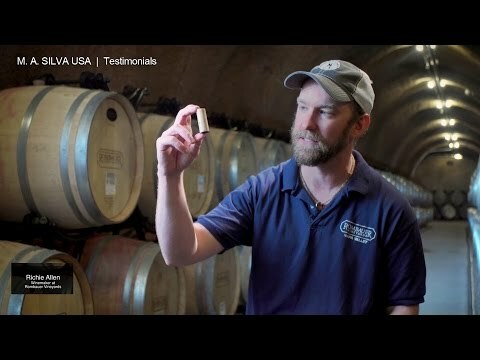 Silva USA, a leading manufacturer for premium corks, glass and packaging throughout North America, has developed a cutting edge technology to eliminate TCA infected cork by examining each one individually and rejecting those found with any trace of TCA taint. 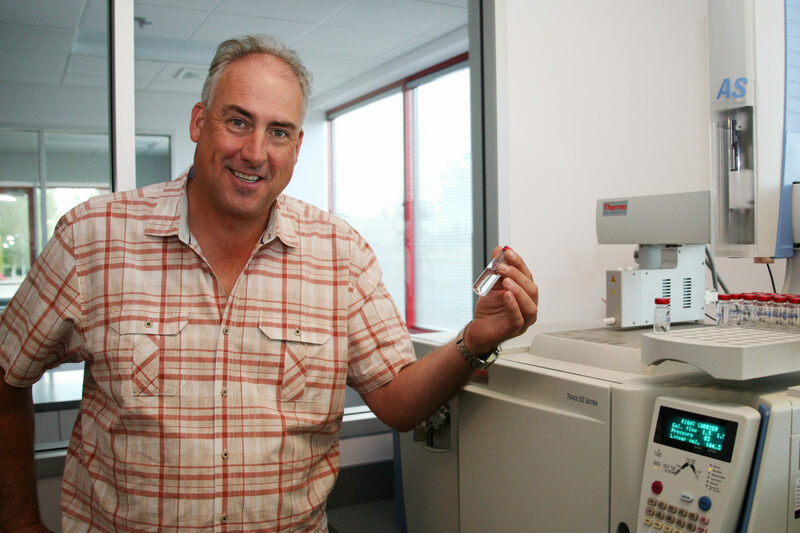 Named the “onebyonetm Program,” this revolutionary testing method uses gas phase spectroscopy, the study of isolating molecules in the gas phase, to automatically inspect every single cork for TCA, leaving no margin for human error. 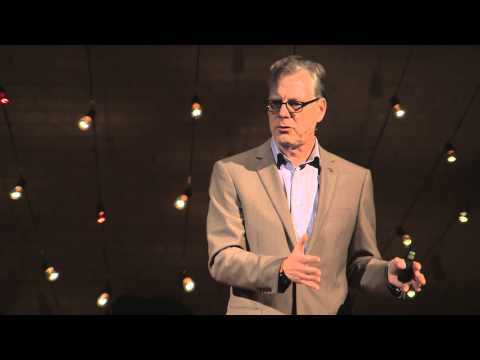 Foster explains that through the onebyonetm automated process, individual corks are placed in tubes within a carousel, which are warmed up, allowing the phenolic compounds, including TCA, to become volatilized, and thus identified. Foster says it takes about five seconds per sample to have each chamber analyzed. Foster affirms that M.A. Silva is investing in more machinery and looking into ways to speed up the process so that ultimately, it becomes more affordable for all levels of wine. Automated cork testing has replaced manual efforts to detect cork taint through the human nose, as smelling large amounts of cork on a daily basis led to fatigue and results that were unreliable. For information and orders, go to www.masilva.com. Santa Rosa, CA, November 15, 2016 – Sonoma County based M. A. Silva USA has been selected as the recipient of the North Bay Business Journal’s Wine Industry Award of 2016 in the glass & cork supply category. From nominations, the Journal selected notable industry suppliers that rise above all others in the wine industry. About M. A. Silva USA: Based in Sonoma County, California, M. A. Silva USA is a leading manufacturer of premium natural corks, glass and packaging for North American markets. Its quality-assurance program ensures unmatched visual, mechanical and sensory characteristics of its products. The company operates on solar power and is committed to sustainability and eco-friendly operations. M. A. Silva earned both Sonoma Green Business Program and ClimateSmart™ certifications. The company has been named Best Cork Supplier 2013, 2015 & 2016, Best Glass Supplier 2016 and 2016 North Bay Maker by the North Bay Business Journal, Best Cork Supplier 2013, 2015 & 2016 and Best Bottle Supplier 2013 & 2015 by Vineyard & Winery Management magazine. It is a six-time winner of the North Bay Business Journal’s Best Places to Work. For more information, visit www.masilva.com or call 707.636.2530. Santa Rosa, CA, August 25, 201 6 – M. A. Silva, the leading manufacturer of cork, glass and packaging, has been recognized by the North Bay Business Journal as one of the Best Places to Work in the North Bay for the sixth time. This repeated recognition underscores the company’s ongoing commitment to providing an environment where employees can thrive and make visible contributions to business growth. According to employee feedback, M. A. Silva is a company where leadership is fully committed to operating a best-in-class company and everyone cares about delivering the best product possible. The North Bay Business Journal’s Best Places to Work assessment was designed to identify, recognize, and honor the best employers in the North Bay. Winners were selected through the evaluation of an employee survey to measure the employee experience. The survey included questions about respect, fairness, family friendliness, community involvement and areas if improvement. M. A. Silva is one of the 103 companies in Sonoma and Marin counties to receive this recognition. About M. A. Silva USA: Based in Sonoma County, California, M. A. Silva USA is a leading manufacturer of premium natural corks, glass and packaging for North American markets. Its quality-assurance program ensures unmatched visual, mechanical and sensory characteristics of its products. The company operates on solar power and is committed to sustainability and eco-friendly operations. M. A. Silva earned both Sonoma Green Business Program and ClimateSmart™ certifications. The company has been named Best Cork Supplier 2013 & 2015 and 2016 North Bay Maker by the North Bay Business Journal,Best Cork Supplier 2013, 2015 & 2016 and Best Bottle Supplier 2013 & 2015 byVineyard & Winery Management magazine. It is a six-time winner of the North Bay Business Journal’s Best Places to Work. For more information, visit www.masilva.comor call 707.636.2530. M. A. Silva has developed an individual cork testing method to deliverguaranteed TCA free corks*. Our process tests for releasable TCA, down to non-detectable levels (0.5ng/L) and eliminates bad corks from the supply chain. This fully automated process is based on cutting edge gas phase spectroscopy and available for high end natural cork to seal ultra-premium wines. It inspects every single cork one by one to detect any trace of cork taint leaving no margin of human error. The one-by-one testing process is the latest innovation of M. A. Silva's commitment to provide TCA free corks. Over the last 40 years we have established ourselves as an industry technology leader. Our proprietary cork cleaning processes are recognized worldwide and this new testing method is a game-changing technology in the cork industry. With the implementation of this new state-of-the-art testing technology we once again demonstrate our determination to be the leading manufacturer of the finest premium cork. Please call 707.636.2530 or send an email to info@masilva.com for more details. Santa Rosa, CA, July 5, 2016 — M. A. Silva USA, the leading manufacturer of cork, glass and packaging, has been selected as one of the companies to be honored at the North Bay Business Journal’s 2016 North Bay Maker Awards. This award — formerly known as Manufacturing Awards — is given to the most outstanding and innovative manufacturers in the North Bay. Many winemakers who used screwcaps or synthetics to avoid cork taint are returning to cork. Research has shown that wine bottles closed with cork age more consistently and develop the richness and suppleness that age can bring. Cork stoppers don’t cause reduction as many of the screwcaps do, and wines protected by cork don’t experience premature oxidation as wines closed with synthetics often do. Cork-finished wines are also preferred by consumers. Their choice echoes a perception of quality and the luxurious feel of a cork being pulled out of a wine bottle. Since cork is biodegradable and recyclable, its use is consistent with sustainable vineyard and winemaking practices. About M. A. Silva USA: Based in Sonoma County, California, M. A. Silva USA is a leading manufacturer of premium natural corks, glass and packaging for North American markets. Its quality-assurance program ensures unmatched visual, mechanical and sensory characteristics of its products. The company operates on solar power and is committed to sustainability and eco-friendly operations. M. A. Silva earned both Sonoma Green Business Program and ClimateSmart™ certifications. The company has been named Best Cork Supplier 2013 & 2015 by the North Bay Business Journal, Best Cork Supplier 2013, 2015 & 2016 and Best Bottle Supplier 2013 & 2015 by Vineyard & Winery Management magazine. It is a five-time winner of the North Bay Business Journal’s Best Places to Work. For more information, visit www.masilva.com or call 707.636.2530. Santa Rosa, CA, January 26, 2016 – M. A. Silvahas developed an individual cork testing method to deliver 100% TCA inspected corks. This fully automated process is based on cutting edge gas phase spectroscopy and available for high end natural cork to seal ultra-premium wines. It inspects every single cork one by one to detect any trace of cork taint leaving no margin of human error. The one by one testing process is the latest innovation of M. A. Silva’s commitment to provide TCA free corks. Over the last 40 years M. A. Silva has established itself as an industry technology leader and itsproprietary cork cleaning processes are recognized worldwide. “This revolutionary testing method is a game-changing technology in the cork industry,” said Neil Foster, President of M. A. Silva. “With the implementation of this new state-of-the-art testing method we once again demonstrate our determination to be the leading manufacturer of the finest premium cork. About M. A. Silva USA: Based in Sonoma County, California, M. A. Silva USA is a leading manufacturer of premium natural corks, glass and packaging for North American markets. Its quality-assurance program ensures unmatched visual, mechanical and sensory characteristics of its products. It is the first cork supplier in the U.S. to offer high resolution laser cork printing of unique and variable information to each single cork stopper. The company operates on 100% solar power and is committed to sustainability and eco-friendly operations. M. A. Silva earned both Sonoma Green Business Program and ClimateSmart™ certifications. The company has been named Best Cork Supplier 2013 & 2015 by the North Bay Business Journal and Best Cork and Best Bottle Supplier 2013 & 2015 by Vineyard & Winery Management magazine. It is a five-time winner of the North Bay Business Journal’s Best Places to Work. For more information visitwww.masilva.com or call 707.636.2530. Giving back to the communities we live and work in has always been a priority at M. A. Silva. A Charity Committee organizes several Food Drives throughout the year benefiting the Redwood Empire Food Bank, a Cold Weather Collection Drive for the Redwood Gospel Mission, and Back-To-School and Toy Drives benefiting the Central Sonoma County Boys & Girls Club. In addition, the company matches employees’ monetary contributions to their favorite charitable organization. M. A. Silva has been selected as a recipient of the North Bay Business Journal’s Wine Industry Award of 2015. From nominations, the Journal selected notable industry suppliers for their individual growth and innovations. M.A. Silva Strives for "Perfect Execution and Delivery"
For the last 15 years, M. A. Silva, a leading manufacturer of natural corks, bottles and packaging for North American markets, has been focused on meeting or exceeding expectations for quality products, on-time delivery and excellent customer service. As a result, the company has doubled its size over the last four years and recently completed the construction of a new manufacturing facility that allows for continuing expansion and an even wider array of service options for its customers. President and co-owner Neil Foster notes that the company was created in the year 2000 as a response to an increasing demand for high quality clean cork- and it has taken off from there. Foster says the subsequent introduction of wine bottles to M. A. Silva’s portfolio was a natural fit for their customers who were already excited about the company’s cork product performance. Foster says many customers eventually came to rely on M. A. Silva 100 percent for their complete cork and bottle manufacturing needs. “We also implemented laser printing technology on the bodies and ends of corks for complete customization with the addition of two new, state of the art machines,” Foster continues. M. A. Silva recently celebrated the grand opening of a new 70,000 square foot manufacturing facility located in the Westwind Business Park near the Sonoma County Regional Airport in Santa Rosa, CA. “The new building is an investment in the future of our company,” Foster attests. The construction has allowed the company to expand its technical services and laboratories, as well as provide increased space for visiting customers and for more comprehensive research and development. Santa Rosa, CA, August 17, 2015 – M. A. Silva, the leading manufacturer of cork, glass and packaging, is pleased to announce the hiring of Barbara Robertson as an Account Manager for the Pacific Northwest region. Barbara’s passion for wine has given her over a decade of experience in the wine industry including distribution, production, buying and selling. She saw the promise of the developing wine industry in Washington State years ago and dedicated herself to obtaining certifications through the Wine & Spirit Education Trust so that she could educate both the local fledgling wineries and consumers in North Central Washington where she resides. Besides helping wineries with their marketing efforts over the years, she also judges at the North Central Washington Wine Awards competition, writes a regional review column in the Foothills Magazine and pops on the KPQ-AM radio station once a week as the “Ag Alchemist.” Barbara’s experience will prove indispensable in assisting customers with integrated cork and glass solutions. Contact Barbara at 206-669-9463 or brobertson@masilva.com. About M. A. Silva USA: Based in Sonoma County, California, M. A. Silva USA is a leading manufacturer of premium natural corks, glass and packaging for North American markets. Its quality-assurance program ensures unmatched visual, mechanical and sensory characteristics of its products. It is the first cork supplier in the U.S. to offer high resolution laser cork printing of unique and variable information to each single cork stopper. The company operates on 100% solar power and is committed to sustainability and eco-friendly operations. M. A. Silva earned both Sonoma Green Business Program and ClimateSmart™ certifications. The company has been named Best Cork Supplier 2013 by the North Bay Business Journal and Best Cork and Best Bottle Supplier 2013 & 2015 by Vineyard & Winery Management magazine. It is a five-time winner of the North Bay Business Journal’s Best Places to Work. For more information visit www.masilva.com or call 707.636.2530. M.A. Silva has experienced unprecedented growth. A new building across from the existing facility will be completed this summer. This 70,000-square-foot structure will allow M.A. Silva to increase their cork production and expand their glass storage capacity. With new state-of-the-art laboratories they will be able to offer more services to customers and further their R & D capabilities. About M.A. Silva USA: Based in Sonoma County California, M.A. Silva USA is a leading manufacturer of premium natural corks, glass and packaging for North American markets. Its qualityassurance program ensures unmatched visual, mechanical and sensory characteristics of its products. It is the first cork supplier in U.S. to offer high resolution laser cork printing of unique and variable information to each single cork stopper. The company operates on 100% solar power and is committed to sustainability and eco-friendly operations. M.A. Silva earned both Sonoma Green Business Program and ClimateSmart™ certifications. The company has been named Best Cork Supplier 2013 by the North Bay Business Journal, Best Cork and Best Bottle Supplier 2013 & 2015 by Vineyard & Winery Management magazine. It is a four-time winner of the North Bay Business Journal’s Best Places to Work. For more information visit www.MASilva.com or call 707.636.2530.</p? The construction of the $7.5 million building began in October with completion scheduled for late spring 2015. About M.A. Silva USA: Based in Sonoma County, California, M.A. Silva USA is a leading manufacturer of premium natural corks, glass and packaging for North American markets. Its quality-assurance program ensures unmatched visual, mechanical and sensory characteristics of its products. It is the first cork supplier in the U.S. to offer high resolution laser cork printing of unique and variable information to each single cork stopper. The company operates on 100% solar power and is committed to sustainability and eco-friendly operations. M.A. Silva earned both Sonoma Green Business Program and ClimateSmart™ certifications. The company has been named Best Cork Supplier 2013 by the North Bay Business Journal and Best Cork and Best Bottle Supplier 2013 by Vineyard & Winery Management magazine. It is a four-time winner of theNorth Bay Business Journal’s Best Places to Work. For more information visit www.MASilva.com or call 707.636.2530. Santa Rosa, CA, October 10, 2014 – M.A. Silva, the leading manufacturer of cork, glass and packaging, announced today the purchase of Vintners Global Resource’s (VGR) packaging business. VGR, located in Washington, is a supplier of wine bottles, closures and packaging serving the Pacific Northwest wine industry. In cooperation with M.A. Silva’s long-time partner Oak Tradition, located in Walla Walla, the combined companies will offer a high quality product portfolio and an unparalleled spectrum of expertise and customer service to wineries in the Pacific Northwest region. Andy Brassington, VGR’s CEO and founder, and Teresa Lawrenson, VGR’s Account Manager, will join the M.A. Silva team. VGR’s Kent, Washington operations are now part of M.A. Silva. “We are excited to merge our wine packaging business with M.A. Silva, the best cork and wine bottle company in the industry,” said Brassington. “This merge is exactly what we wanted for continued growth. The vast resources of M.A. Silva provide us with more time and excellent products to support our Northwest friends and clients. The best-in-class culture, proven excellence in products and service and the family ownership of M.A. Silva make this an ideal fit,” Brassington concluded. About M.A. Silva USA: Based in Sonoma County California, M.A. Silva USA is a leading manufacturer of premium natural corks, glass and packaging for North American markets. Its quality-assurance program ensures unmatched visual, mechanical and sensory characteristics of its products. It is the first cork supplier in U.S. to offer high resolution laser cork printing of unique and variable information to each single cork stopper. The company operates on 100% solar power and is committed to sustainability and eco-friendly operations. M.A. Silva earned both Sonoma Green Business Program and ClimateSmart™ certifications. The company has been named Best Cork Supplier 2013 by the North Bay Business Journal and Best Cork and Best Bottle Supplier 2013 by Vineyard & Winery Management magazine. It is a four-time winner of the North Bay Business Journal’s Best Places to Work. For more information visit www.MASilva.com or call 707.636.2530. Santa Rosa, CA, August 11, 2014 – M.A. Silva, the leading manufacturer of cork, glass and packaging, has been named as a 2014 Best Places to Work winner in the North Bay. Over 120 companies from across the North Bay area were anonymously nominated to participate in the annual North Bay Business Journal’s Best Places to Work assessment. Winners were determined through the evaluation of an employee survey including questions about respect, fairness, family friendliness, community involvement and areas of improvements. 97% of the M.A. Silva staff submitted their opinions. M.A. Silva is one of the 45 companies in Sonoma and Marin counties to receive this recognition within the 15 – 50 employee category. About M.A. Siva USA: Based in Sonoma County California, M.A. Silva USA is a leading manufacturer of premium natural corks, glass and packaging for North American markets. Its quality-assurance program ensures unmatched visual, mechanical and sensory characteristics of its products. It is the first cork supplier in U.S. to offer high resolution laser cork printing of unique and variable information to each single cork stopper. The company operates on 100% solar power and is committed to sustainability and eco-friendly operations. M.A. Silva earned both Sonoma Green Business Program and ClimateSmart™ certifications. The company has been named Best Cork Supplier 2013 by the North Bay Business Journal and Best Cork and Best Bottle Supplier 2013 by Vineyard & Winery Management magazine. It is a four-time winner of the North Bay Business Journal’s Best Places to Work. For more information visit www.MASilva.com or call 707.636.2530. M.A. Silva offers revolutionary cork laser printing with the highest capable image resolution for printing natural cork stoppers. The Décork™ D-CLP laser printer, manufactured in Europe, creates perfectly detailed 3D style imaging. The laser printing process has a fast turnaround and is environmentally friendly. The high definition shading along with the darkest printing capability, allows for distinctive illustrative or photographic rendering to be visually sharp. The printer has the capability to add traceability which allows you to personalize each cork. Add different serial numbers, codes or names in each single cork stopper on a batch. Add a data matrix or QR codes to your cork stoppers to avoid illegal copies in top wines. Your imagination is the limit! Leave a lasting impression with an extraordinary cork! If you have questions, please call us at 707.636.2530 or send an email to info@masilva.com. Santa Rosa, CA – Sonoma County based cork and glass manufacturer M.A. Silva USA is known for innovation and leading the way in industry standards. In partnership with Michael Browne, a founder and winemaker of Kosta Browne Winery, Neil Foster and M.A. Silva have created something very special in the industry for Browne’s newly launched high-end Pinot Noir brand, CIRQ Estate. Browne selected Silva as a trusted partner to create the unique custom mould as well as providing high quality corks for the project. Silva president Neil Foster says, “Having worked with us for years, Michael needed the highest quality standards for this undertaking. Together we saw the vision; we designed and manufactured this new bottle for him handling all aspects of the project.” The result is a unique design that fit the needs of the brand. The M.A. Silva USA name is synonymous with award-winning products, customer service and innovation winning awards in both public and private domains. They have been awarded accolades for their work in both cork and glass. Based in Sonoma County California, M.A. Silva USA is a leading manufacturer of premium natural corks, glass and packaging for North American markets. Its quality-assurance program ensures unmatched visual, mechanical and sensory characteristics of its products. The company operates on 100% solar power and is committed to sustainability and eco-friendly operations, for more information visit www.MASilva.com or call 877-689-7676. CIRQ Estate is the latest creation from Michael Browne. While he is still very active in the day-to-day winemaking at Kosta Browne, CIRQ Estate is a new project developed by and cared for by Michael. His vision for CIRQ first took shape several years ago when he discovered what he considers to be the best sites in the best region within a region for Pinot Noir, the western hills of the Russian River Valley. Michael was introduced to these vineyards by Charlie Chenoweth, who is now a partner in CIRQ. Charlie planted and manages both of these vineyards. He made the commitment at that time to pour all of his available resources into developing these sites to produce exceptional Pinot Noir. Production is and will remain small for the simple reason that CIRQ is an estate-driven program with limited acreage. For more information about how to acquire the wines, please visit www.cirq.com. The cork - glass connection also makes perfect sense to Foster who says, cork manufacturers understand the importance of the connection and function of the two products working together successfully. Their innovative glass offerings include proprietary moulds for consistent quality, cork-to-bottle fit assurance and in factory quality control 24/7. Santa Rosa, CA – Sonoma County based M.A. Silva USA, now offers revolutionary cork laser printing technology with the highest capable image resolution for printing natural cork stoppers. M.A. Silva is delighted to present the D-CLP laser printer within their Diamond Program of premium services, along with D-GC/MS testing. The D-CLP creates perfectly detailed 3D style imaging within the full 360° cork body spectrum. The high definition shading along with the darkest printing capability, allows for distinctive illustrative or photographic rendering to be visually sharp. The printer has the capability to add traceability and identifiable numbering and text to each closure, making every cork unique. There is no ink that touches the cork surface or drying time necessary in the D-CLP laser printing process, which is proven to have a fast turnaround time and environmentally friendly. See all features at ON-LASER’s Décork™ website. M.A Silva’s D-CLP utilizes ON-LASER’s newest line of Décork™ printers, manufactured in Europe. Also, new for 2014 is the free 3D Viewer app for Android and iOS devices. The Décork™ App allows end users to share 3D artwork simulations on cork stoppers of different formats, sizes and surface finishes. The family, Portugal‐based partner M.A. Silva Corticas has a 40‐year history of cork production and is known as an innovator in cork processing & technology. The cork is sourced mainly from tree bark in cork tree forests under long‐term grower agreements, which ensures control and quality, from the time the trees are harvested to the delivery of finished corks. A full‐service mechanical and organoleptic test lab, housed in the company’s Santa Rosa‐based facility furthers that level of quality control. A spirit of collaboration between M.A. Silva staff members and researchers across Europe and the United States has resulted in the development of some of the most technically advanced cork processing facilities and equipment in use today. A combination of forest management, technology, processes and training has made significant advances toward eliminating TCA issues, in addition to improving the beauty and performance of its closures. Their innovative glass offerings include proprietary molds for consistent quality, cork‐to‐bottle fit assurance and in factory quality control 24/7. visit www.MASilva.com or call 877‐689‐7676. Santa Rosa, CA – Sonoma County based M.A. Silva USA has been named Best Cork and Best Bottle Supplier 2013 by the leading North American wine industry trade magazine; Vineyard & Winery Management. The accolade holds particular meaning as voters represent wine industry insiders from across the Nation. Silva holds the distinction of winning two “Best of” honors: best cork and best bottle supplier. Voted on by 700 industry leaders, it’s befitting that they garner this type of attention, as the company has established a culture of out-of-the-box customer service practices and a focus on people first. The entire team is dedicated to leading the way in the industry with a unique level of service and in exploring the symbiotic relationship between cork and glass. Silva has experienced unprecedented growth in this economy, over 30% increase in business; they’ve accomplished this by focusing on elevating the industry from the inside out. They place an emphasis on the quiet details like; extremely high-quality standards and empowering their team. Management takes care of their internal and external customers, supporting and giving back to employees. This translates into a remarkably high workforce retention rate, more hires and is reflected right back out to customers from each member of the team. President Neil Foster shares, “This award is such an honor especially coming from our industry partners. We want our employees and clients to feel part of something bigger, we know how many lives are affected each time product is processed and shipped from our plants and we strive to keep that in mind throughout each element of the process.” The cork - glass connection also makes perfect sense to Foster who says, cork manufacturers understand the importance of the connection and function of the two products working together successfully. Vineyard & Winery Management magazine mentions some of the significant details about M.A. Silva receiving the two awards. The family, Portugal-based partner M.A. 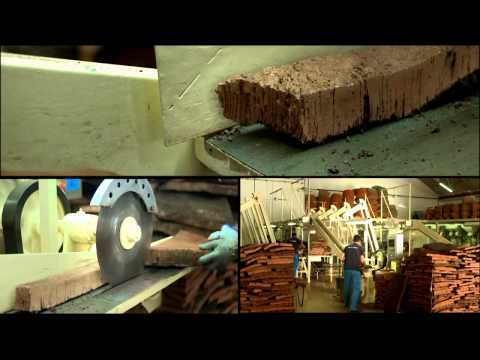 Silva Corticas has a 40-year history of cork production and is known as an innovator in cork processing & technology. The cork is sourced mainly from trees under long-term grower agreements, which ensures control and quality, from the time the trees are harvested to the delivery of finished corks. A full-service mechanical and organoleptic test lab, housed in the company’s Santa Rosa-based facility furthers that level of quality control. A spirit of collaboration between M.A. Silva staff members and researchers across Europe and the United States has resulted in the development of some of the most technically advanced cork processing facilities and equipment in use today. A combination of forest management, technology, processes and training has made significant advances toward eliminating TCA issues, in addition to improving the beauty and performance of its closures. Their innovative glass offerings include proprietary molds for consistent quality, cork-to-bottle fit assurance and in factory quality control 24/7. SANTA ROSA, Calif. August 9th, 2012-M.A. Silva USA is listed as a North Bay Business Journal's Best Places to Work winner. North Bay Business Journal established the list of 2012 Best Place to Work after reviewing nominations, company applications and employee feedback from survey results. "I am proud to once again receive this honor. Over the years we have built a great family of employees and this is a reflection of how they feel working within our business," said Neil Foster, President of M.A. Silva USA. "We have a number of people who have worked in the company between five and ten years and I'm thrilled to have developed an atmosphere where they feel they are respected and treated well." An anonymous nomination was submitted in the North Bay Business Journal's call for businesses. After the review, the North Bay Business Journal sent a survey for all employees to evaluate the M.A. Silva USA workplace. The survey included questions about creditability, respect, fairness, pride, camaraderie and gave employees an opportunity to lend suggestions for improvement. In order to be considered for the list more than 50 percent of the staff needed to complete the survey. In result, more than 75 percent of the M.A. Silva USA staff submitted their opinions. M.A. Silva USA was one of over 30 companies in Sonoma and Marin counties to receive this designation within the 20-50 employee category. About M.A. Silva USA: Based in Sonoma County California, M.A. Silva USA is a leading manufacturer of premium natural corks, glass and packaging for North American markets. Its quality-assurance program ensures unmatched visual, mechanical and sensory characteristics of its products. M.A. Silva USA operates on 100% solar power and is committed to sustainability and eco-friendly operations. For more information about M.A. Silva USA visit www.MASilva.com or call 877-689-7676. Santa Rosa, Calif. August 30th, 2011-After working with several wineries in the Central Coast as a Winemaking Consultant, Katherine Turner has been hired by M.A. Silva USA. Turner is now the M.A. Silva USA Account Manager for the Central Coast. "Kathy will inspire confidence in her client's purchasing decisions," said Neil Foster, President of M.A. Silva USA. "I've known Kathy for a number of years , we met when she was an Enologist at Merryvale Vineyards. We were fortunate that we were looking for a new representative in the area while she was looking for a new challenge." Katherine Turner has been working in the wine industry for eight years. Prior to being a Consultant, Turner worked for wineries including: Four Vines Winery, Estancia Winery, Wild Horse Winery, and Buena Vista Winery. Based in Sonoma County, California, M. A. Silva USA is a leading provider of premium natural wine corks to North American markets. Its certified quality-assurance program ensures that products provide unmatched visual, mechanical, sensory characteristics along with impeccable customer service to winemakers seeking to produce the finest wine, sparkling wine and spirits. With Forest Stewardship Council and PEFC certified facilities in Portugal and Northern California, M. A. Silva is committed to sustainability and eco-friendly operations. For more information about M. A. Silva USA visit www.MASilva.com or call 707-636-2530. Santa Rosa, Calif. August 9th, 2011-Alison Zito Gossage signed on with M.A. Silva USA as an Account Manager. Her role as Account Manager will provide existing and potential new customers with a wealth of information about purchasing cork and the benefits of working with M.A. Silva USA. "We are thrilled to have Alison on board," said Neil Foster, President of M.A. Silva USA. "Her enthusiasm and focus on customer service is a perfect match with our existing team." Alison Zito Gossage is an established graduate from Sonoma State University with a Bachelors of Science in Business and a concentration in Wine Business Strategies. While attending Sonoma State, she began her career working for Kendall-Jackson Wine Estates. Gossage's experience in the wine industry includes working for Benziger Family Winery and Ledson Winery. Her recent experience at Canton Wood Products and XTRAOAK gave her the opportunity to establish relationships with Winemakers and Purchasers. She has a passion for providing exceptional customer service. In the past she has worked in the following regions: Russian River, Sierra Foothills, Sonoma Valley, Lodi, Central Coast, Southern California and Napa Valley areas. SANTA ROSA, Calif.,—M.A. Silva USA has hired Pamela Stevens, an accomplished industry expert, who brings over twenty years of experience to her new role as the Quality Assurance and Laboratory Manager. "When the opportunity was available, I knew who to call first," said Neil Foster, President of M.A. Silva USA. "Pamela has known the Silva family for a long time. We are delighted to have her as part of our growing team and I have a tremendous amount of respect for her knowledge of cork." research and development with the newly installed GCMS unit, manage quality assurance from incoming cork through production, and provide guest lectures. Stevens new role allows M.A. Silva to further enhance its leading position in cork quality and customer satisfaction. Based in Sonoma County California, M.A. Silva USA is a leading manufacturer of premium natural corks and of glass containers for North American markets. Its quality-assurance program ensures unmatched visual, mechanical, and sensory characteristics of its products. M.A. Silva Corks operates on 100% solar power and is committed to sustainability and eco-friendly operations. For more information about M.A. Silva USA visit www.MASilva.com or call 877-689-7676. Santa Rosa, Calif., May 2, 2011—M.A. Silva Corks, USA is now operating a Gas Chromatograph/Mass Spectrometer (GC/MS) in their Santa Rosa production facility. This instrument will further the research and quality protection methods of M.A. Silva Corks, USA. "It’s a very powerful, versatile, and sensitive analytical instrument; there’s a lot of exciting things we can potentially do with it," says Adolfo Hernandez, Quality Control and Laboratory Services Manager of M.A. Silva Corks, USA. "We are able to share methods and techniques with our parent company in Portugal. Continuing to align our chemistry adds another layer to our vertical integration." The GC/MS analytical instrument is a Thermo Fisher Trace ISQ , and was installed in February of 2011. Hernandez, an experienced biochemist, led the implementation of testing methods and design of the analytical laboratory. "In my opinion it’s been the biggest driver of change in cork processing in the last decade. When you can quantify or measure a compound, you are more likely to be able to understand and control it," says Hernandez. Currently the chemists at the Santa Rosa facility are using the GC/MS technology to test cork soaks and wine for 2,4,6 trichloroanisole, commonly abbreviated as TCA. The approach uses solid phase micro extraction (SPME) to concentrate headspace volatiles (aromatic compounds which contribute to smell) for GC/MS analysis of TCA. In Portugal, M.A. Silva Corticas uses GC/MS technology for TCA testing of corkwood at inspection after harvest, on corkwood post boiling, and on corks after punching. When corks are received at the Santa Rosa production facilities, samples are sent to ETS Laboratories for third party testing. M.A. Silva Corks, USA plans to use the in house technology for additional quality assurance testing and research. "This analytical tool is key to our goal of delivering the highest level of cork quality and assurance to our customers," says Neil Foster, President of M.A. Silva Corks, USA. About M.A. Silva Corks, USA: Based in Sonoma County California, M.A. Silva Corks, USA is a leading manufacturer of premium natural corks and of glass containers for North American markets. Its quality-assurance program ensures unmatched visual, mechanical, and sensory characteristics of its products. M.A. Silva Corks, USA operates on 100% solar power and is committed to sustainability and eco-friendly operations. For more information about M.A. Silva Corks, USA visit www.MASilva.comor call 877-689-7676. Santa Rosa, CA—To accommodate the recent addition of glass to its product line, M.A. Silva Corks, USA is pleased to announce the appointments of Richard Du Bois, longtime wine industry professional, as the new Product Specialist-Glass Bottles, and Terry Borges as Sales Representative for cork and glass. With over 20 years’ management experience in winery operations, Du Bois brings well-honed industry expertise in glass and bottling to M.A. Silva Corks, USA. Borges, who also comes from an extensive career in the wine industry, has particular expertise in cork and glass sales and supplies. Richard Du Bois has hands-on management experience with the bottling process including corks, bottling logistics, glass supplies, and production across a variety of high end wineries and large wine corporations including Allied Domecq Wines, Domaine Chandon, Buena Vista, and Simi wineries. Du Bois will be an excellent asset to this integrated cork-and-glass component of M.A. Silva Corks, USA, assisting customers with technical expertise and solutions for bottle products and operations along with pre-sales advice for both customers and the M.A. Silva Corks, USA sales team. Terry Borges’ expertise and experience in national sales and management in cork, glass, and wine accessory supplies across a wide range of wine consulting and distribution supplyfirms across the U.S., are a natural fit for M.A. Silva Corks, USA and will be an ideal complement to Richard Du Bois as he leads the expansion of the cork and glass products. Together Du Bois’ and Borges’ experience will prove indispensable in assisting customers with integrated cork and glass solutions as they anticipate problems, reduce risks, and thus realize savings with quality products. It’s all part of M.A. Silva Corks, USA Perfect Fit Guarantee. By adding high quality glass bottles to their line of products, M.A. Silva Corks, USA is now the only manufacturer of both high quality glass and natural cork. This recent addition to the product line makes a perfect fit. Clients are assured full peace of mind knowing they can order corks and glass together, obtain detailed and expert information from any M.A. Silva Corks, USA staff member, and expect timely, paired delivery. Offering the best quality bottles available, M.A. Silva Corks, USA has taken particular care to put in place the same high quality production techniques and uncompromised standards for its packaging as it does for its corks. Customers have come to expect high quality corks, and there is nothing less for its bottles and cartons. Based in Sonoma County California, M.A. Silva Corks, USA is leading manufacturer of premium natural corks and glass containers for North American markets. Its quality-assurance program ensures that the products provide unmatched visual, mechanical, and sensory characteristics along with impeccable bottling performance and on-time delivery to customers seeking to produce the finest wine, spirits and beer. With Forest Stewardship Council and PEFC certified facilities in Portugal and 100% solar power in Northern California, M.A. 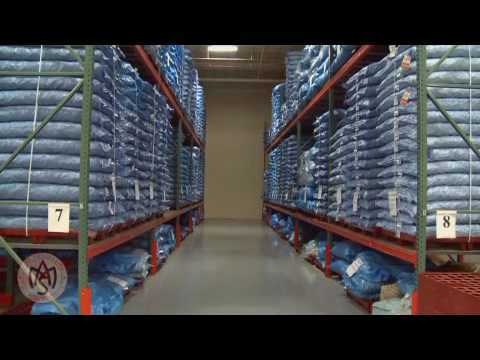 Silva Corks, USA is committed to sustainability and eco-friendly operations. For more information about M.A. Silva Corks, USA visit www.MASilva.comor call 877-689-7676. Santa Rosa, Calif. - 100% of M.A. Silva Corks, USA’s power is now generated through the newly installed solar panel array, at its Santa Rosa, California facility, completing another phase of its on-going commitment to environmentally conscious business practices. As the first company to earn both Sonoma Green Business Program and ClimateSmart™ certifications, this installation further reduces the company's impact on the environment. Along with actively promoting environmentally friendly forest management and social initiatives, this new solar array is just one of a combination of sustainability efforts practiced by M.A. Silva worldwide. Since its founding 10 years ago, M. A. Silva Corks, USA integrated sustainable business practices into its long-term initiatives, and day-to-day operations. Every aspect of the business now incorporates a broad range of eco-friendly practices benefiting each of the supply chain, employee, and customer communities. "I am proud that our company has always been mindful of our impact on the environment," said Neil Foster, President and Owner of M.A. Silva Corks, USA. "We are fortunate that many of our customers are now partnering with us to take the next steps." Consumer preference for cork-finished wine enables many sustainability efforts. Cork finished bottles remain the fastest growing segment of the wine industry. In contrast to screw caps and synthetic cork, both significant carbon producers, natural cork pulls C02 from the air as the tree grows, acting as a carbon sink. Certified by the Forest Stewardship Council (FSC), M.A. Silva maintains strict adherence to sustainable forestry practices. re-purposing post-production scrap, company-wide efforts minimize manufacturing waste. Electric branding equipment planned for installation in May 2011 takes advantage of the available carbon-free solar power. Careful attention and tracking of supplies and paper have reduced landfill-bound waste to just a few cubic feet per week. Cork recycling and awareness programs with consumers turn used corks into compostable products without significant addition of carbon emissions for transportation. Today M.A. Silva Corks, USA is looking beyond its own sustainability efforts, teaming with customers to address broader, more complex issues. M.A. Silva Corks, USA business partners are especially interested in all sustainability and their joint efforts should result in further reduction of green house gas emissions, greater business efficiencies, and higher quality. Based in Sonoma County California, M.A. Silva Corks, USA is a leading provider of premium natural wine corks, glass, and packaging to North American markets. Its certified quality-assurance program ensures that products provide unmatched visual, mechanical, and sensory characteristics along with impeccable customer service to winemakers seeking to produce the finest wine, sparkling wine, and spirits. Santa Rosa, Calif.-Audrey Pinto, a wine packaging industry veteran, has joined the customer service team of M.A. Silva Corks, USA . Pinto's experience in wine packaging will prove to be a valuable resource to M.A. Silva Cork USA’s clients. Having previously worked at Saverglass, Inc. as a Technical Field Specialist and Alcan Packaging Capsules of California as an Account Manager, Pinto brings a well-rounded wine industry background to complement M.A. Silva Corks, USA's position as a knowledgeable premium wine cork, bottle, and packaging supplier. "Audrey has already proven to be a great team player, very knowledgeable, and customer focused. She’s a great addition to the team and we are happy that she has joined the M.A. Silva Corks, USA family!" said Debra Wieland, Inside Sales and Customer Service Manager. Based in Sonoma County, California, M. A. Silva Corks, USA is a leading provider of premium natural wine corks to North American markets. Its certified quality-assurance program ensures that products provide unmatched visual, mechanical, sensory characteristics along with impeccable customer service to winemakers seeking to produce the finest wine, sparkling wine and spirits. With Forest Stewardship Council and PEFC certified facilities in Portugal and Northern California, M. A. Silva is committed to sustainability and eco-friendly operations. For more information about M. A. Silva Corks, USA visit www.MASilva.com or call 707-636-2530. After five years of hard work and dedication to M.A. Silva Corks, USA, Kimberly Toy has been appointed to the role of Inside Sales Representative. Before joining M.A. Silva Corks, USA, Toy spent six years at Agilent Technologies as a Systems Specialist and Customer Service Representative. "Her keen eye for detail, excellent follow through, and level of commitment for the past five years has set a standard which we want to embrace," said Debra Wieland, Inside Sales and Customer Service Manager. Kimberly Toy's new role is to serve as the primary contact for many local wineries. She can be reached at Kim@masilva.com or by phone at 707-236-1183. For more information about M.A. Silva Corks, USA visit www.MASilva.com. M. A. Silva Corks, USA (masilva.com) has been selected by the George Bush Presidential Library Foundation to represent the wine cork industry in the much-anticipated The Culture of Wine exposition. The event will unravel the mystery, magic and making of wine. The exhibit runs September 28, 2009 through August 22, 2010 in the Ansary Gallery of American History at the George Bush Presidential Library and Museum in College Station, Texas. The Culture of Wine exhibit creates an opportunity for visitors to learn about the historical, viticultural and production aspects of wine. Visitors begin by stepping through the exhibit’s vineyards, then proceeding to the crushing, pressing, fermenting,barrel storage and bottling displays. The show’s blending of equipment, photo murals, process diagrams, and comprehensive descriptions is not only fascinating, but also delivers an in-depth learning experience. As a leading sponsor, M. A. Silva Corks, USA collaborated on the creation of the natural cork display area that educates visitors on sustainable forestry practices,traditional hand harvesting techniques, and ecologically sound corkwood processing. Maps, diagrams and hands-on displays add interest and interaction. A highlight of the display is the array of M. A. Silva’s premium natural cork products. Based in Sonoma County, California, M. A. Silva Corks, USA (masilva.com) is a leading provider of premium natural wine corks to North American markets. Its certified quality-assurance program ensures that products provide unmatched visual, mechanical, sensory and customer service to winemakers seeking to produce the finest wine, sparkling wine and spirits. With Forest Stewardship Council and PEFC certified facilities in Portugal and Northern California, M. A. Silva is proud of its leadership role and commitment to sustainability and eco-friendly operations. Please send an email to info@masilva.com or call 707-636-2530 to request pricing information.
" M.A. Silva provides us with good, clean corks and great service. Stay as good as you are! " " Overall, we have a high level of satisfaction working with M.A. Silva products. The service and the people are great. " " MA Silva has always been a pleasure to work with and the quality of the product means one less thing to worry about while bottling. " " Kosta Browne Wines has worked with M.A. Silva USA for years and we stay with them because simply put they take care of us in a very professional way.r\r\n\r\nQuality assurance is particularly vital in the wine industry and that's exactly where M.A. Silva shines. They've always made my needs their own while communicating and continually working together with us to pay close attention to our bottom line in order to stay cost efficient. Their unparalleled customer service is icing on the cake and something that sets them apart.\r\n\r\nIt's just easy and comfortable to work with M.A. Silva, from their reliable quality products and passion for industry knowledge to going the extra mile for me no matter what challenge I put in front of them. They stand firmly behind their word and products. There is nothing like being able to completely trust such an important vendor. \r\n\r\nWith so many day to day challenges running a small winery business, it is vital for us to have a partner like M.A. Silva to rely on. Reliability with quality, timing, communication and customer service is what M.A Silva is all about and they come through every time. " " The greatest asset at M.A. Silva is their commitment to listening to the needs of a demanding customer. I've worked with Neil since 2002 and his knowledge and experience with the cork industry is thorough and unsurpassed. He and his professional staff are well prepared to meet our evolving needs for natural cork both in terms of quality and quantity. I am grateful for the cooperation, assistance and innovation with developing new and streamlined QC methods in order to procure the exact cork that we need. " " M.A Silva has great people and products, helping me to achieve my stringent goals, in a fun and professional way. " " We have worked with M.A. Silva USA for 9 years. We stay with them because they take excellent care of us on every level in a highly impeccable way by meeting our high standards. \r\n\r\nQuality assurance is key in the wine industry and that is where they excel. They understand our needs and have exceeded our expectations throughout the years. Their dedication to customer service is beyond the norm.\r\n\r\nFrom reliable quality products and passion for industry knowledge to going the extra mile for me no matter what challenge I put in front of them, they stand firmly behind their word and products. \r\n\r\nM.A. Silva is truly dedicated to provide the highest quality cork and customer service. That is why I trust their product for our reserve wines. \r\n "
" Over the last 10 years Rombauer Vineyards has relied on M.A. Silva to deliver high quality and consistently neutral corks for all of its wines. Meticulous attention to detail from the cork forest to the finished cork is evident every time. " " We have worked with M.A. Silva USA for over 5 years. What set them apart from any other in our industry are the relationships they cultivate and a commitment to true service. We also appreciate and are impressed by their commitment to their staff, a sense of family - they treat their customers like family too. We work in a highly demanding and detailed oriented industry and I can trust and relax knowing that they will always deliver on-time and take care of needs. \r\n\r\nQuality assurance and keeping up with industry standards is vital in the wine industry - this is where M.A. Silva exceeds expectations. They also continually work with us to keep our bottom line in mind and stay cost efficient.\r\n\r\nKnowing you can absolutely rely on a company to deliver quality products and have the latest industry knowledge is a comfort you simply can't put a price on. They stand behind their word and I know they will take care of my company and needs.\r\n "
" I value family and the sense of trust it brings. That is why I am so impressed with and respect the business and friendship relationships Neil has established especially in-between the Silva family, himself and his staff both in Portugal and California. I know I can trust him implicitly with my business and his impeccable work fulfilling my glass and cork needs. \r\n\r\nNeil and his highly professional staff are always prepared to meet our needs no matter the challenge we place in front of them. I am grateful for the constant communication, cooperation, assistance and innovation with developing new and streamlined QC methods in order to procure the exact products we need.\r\n "
How is a cork harvested? Cork is harvested using traditional methods that remain virtually unchanged since the cork’s value was first discovered. The first harvest of cork bark occurs when a tree reaches maturity at approximately twenty years old and is harvested a minimum of every nine years. Harvesting is a very skilled operation that follows a strict code of practice. Regulations determine the legal period of time between each stripping, the ripeness of the bark, and prevailing weather conditions during harvest. Using a sharp knife, an incision is made into the bark. Then the cork is gently removed from tree in sections approximately 1ft. x 3ft. No harm is done to the tree during this bark removal process. Nothing is more ideally suited to sealing a bottle than natural cork. And it’s better for the environment, too. Natural cork works best because it’s flexible, elastic, and compressible. The typical cork closure is composed of 750,000,000 cells. These cells are watertight, with a gaseous mixture in each cell similar to air that become compressed when inserted into the bottleneck. Once decompressed, the cork stopper recovers its initial size, providing a complete seal. Natural cork’s elasticity remains dynamic for a long time. Temperature variations during storage cause glass to expand and contract. So does cork, ensuring a complete bottle seal at all times. Natural cork is resistant to wear and tear. Due to its specific structural composition, cork offers high resistance to humidity and oxidation. Natural cork is recyclable, renewable and reusable. Cork may be recycled by grinding, and then used in other products like wall panels, shoe soles, and more. By using natural cork, you ensure the continuity of cork plantations which play a role in maintaining nature’s balance and related ecosystems. What is the Cork Quality Council? Are you a member? The Cork Quality Council is a nonprofit organization sponsored by select industry leaders in the U.S. natural cork industry. The council currently sponsors ongoing research with leading wine industry institutions. Its goal is to promote additional improvements in cork quality control. M. A. Silva has been a proud member of the Cork Quality Council since 2004. TCA (2,4,6-Trichloroanisole) is one of a series of naturally occurring compounds resulting from the growth of many fungal species. TCA was as a key contributor to “cork taint”. Although once a concern, our Certified Quality Program (link) has reduced TCA levels to below the threshold of human sensory capabilities. What off-aroma compounds are removed? Dynavox® reduces other off-aroma compounds including TCA (2,4,6-Trichloroanisole), 2,3,4,6 –Tetrachloroanisole (TeCA), trichlorophenol (TCP), Pentachloroanisole (PCA) and 2,4,6 -Tribromoanisole (TBA) and others. The first stage involves sterilizing the corkwood slabs, while removing off-aroma polyphenols, excess pigments and tannins. We use both intense steam and pressure in our Dynavox® system to unlock the compounds from deep inside the cork matrix. Although this process would damage finished corks and granules, it aggressively reduces TCA well below industry requirements in slabs. For cork granules intended for technical and agglomerated corks, our SARA® wash uses steam and pressure further reducing TCA and other contaminates. Its tumbling action ensures every surface of each granule receives thoroughly cleaning. Once finished, both punched (natural) and formed (technical and agglomerated) corks receive a final Maszone® washing. This ensures sterilization, while enhancing appearance. Maszone® – Maszone® system uses ozonated water and hydrogen peroxide to disinfect finished corks. The solution eliminates microorganisms and their spores, and oxidizes organic impurities and compounds such as phenols and anisoles which could be precursors to off-flavor producing compounds. Maszone® enhances the visual appeal of the cork. SARA® – The SARA® process removes TCA and other polyphenols in granulated cork that composes Silktop and Sparkling Wine technical corks and Pearl agglomerated wine corks. As the cork granules tumble in an enclosed chamber, SARA® employs controlled steam and pressure to drive the volatile compounds from the cork. The processed material immediately transfers to an attached dryer where the reduction of moisture minimizes the environment most suitable for microorganism growth. Are the finished corks free of residual chemicals? Yes. Our Dynavox® and SARA® cleaning processes rely solely on a proprietary combination of pressure, heat and pure filtered water. The Maszone® cleaning processes uses ozonated filtered water, heat and pressure. Ozonated water is the same solution regularly used in food processing. Why not use alcohol or chlorine in your cleaning solution? TCA and other off-aroma compounds easily dissolve in steam. By using a combination steam and pressure, we achieve deeper contaminate removal without the addition of hazardous chemicals. Washing processes performed at ambient temperature may not thoroughly treat beyond the surface of the cork. Cellared wine remains in contact with the cork for extended periods inviting migration on interior contaminates. A cork damaged during a subsequent process like printing or bottling, may expose the wine to an untreated surface. Residual chlorine is thought to lead to the reformation of TCA. What quality certifications do you meet? ISO 9001:2001 – The International Standards Organization (ISO) ISO 9001:2001 standard for quality management systems certification is awarded to companies that globally implement procedures for providing assurance about its ability to satisfy quality requirements and to enhance customer satisfaction in supplier-customer relationships. ISO 22000:2005 - The International Standards Organization (ISO) 22000:2005 standard specifies requirements for a food safety management system where an organization in the food chain needs to demonstrate its ability to control food safety hazards in order to ensure that food is safe at the time of human consumption. Cork Quality Council – All products shipped by M.A. Silva meet or exceed CQC standards. Systecode Established by CELIÈGE, SYSTECODE is a quality assurance system for the cork industry. Accredited under the SYSTECODE standard, M. A. Silva guarantees that its products comply with the standards. How do I get independent verification of TCA and volatile contaminates? M. A. Silva regularly assists its customer with independent verification of our test results.